Do you own a home? In the event something goes horribly wrong, do you have home insurance? Do you own a vehicle? In the event something goes horribly wrong, do you have vehicle insurance? Do you own a firearm for self defense? In the event something goes horribly wrong, do you have self defense insurance? In any of these scenarios, the decision to not own insurance could end up being many times more expensive than the insurance itself which is risky at best. You likely own a firearm for self defense in case something goes wrong. The problem is, without self defense insurance, you may not be fully prepared if something actually DOES go wrong. For example, if you’re involved in a self defense situation, you may possibly need a criminal defense. But even if you are cleared or don’t get charged, the likelihood of being civily sued by their loves ones is very likely…In fact, you can expect it. Lawyer selection, upfront attorney retainers, bail bond funding, expert witnesses, etc is a very daunting and expensive task. 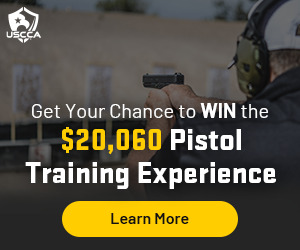 The average costs of criminal defense and civil defense and damages can total $1,000,000 or more…Be prepared with a USCCA Platinum Membership. 24/7/365 Access to the USCCA Critical Response Team…a REAL person dedicated to help you through one of the most difficult moments in protecting your own life or the life of a loved one. You’ve prepared for what could happen if…Now, prepare for what would happen if…Just click on the image below to find out more, and most importantly, to be prepared.